I like the way the burners are set up. Each one has a different BTU that makes it convenient. Oven works well, heats up to temp fairly quickly, and having the convection option is very helpful. 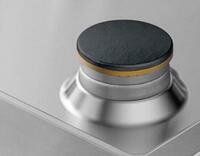 Hallman Range is easy to use, easy to clean, and when we use the oven it is easy to regulate the temperature. The Dual Fuel burners also give great power. Overall a good Dual Fuel range both for performance & looks. 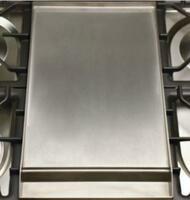 This range is quite nice, it cooks much faster than my old Dual Fuel cooktop. 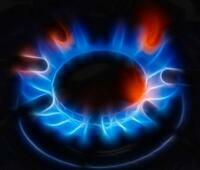 I see no problem with the stove and would recommend it for the functionality and price. Upgrading our kitchen was never so easy with such a great range/oven. Great features and then warmer burner is a nice addition. 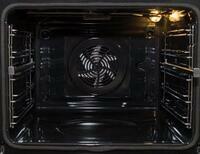 Very good heat control and the oven bakes faster with even cooking no matter where you place the racks. All the features of the stove are great. Love the different size burners, very convenient for the size pan/pots you are using. This product was easy assembly I was very pleased with the delivery and the quality of this product. 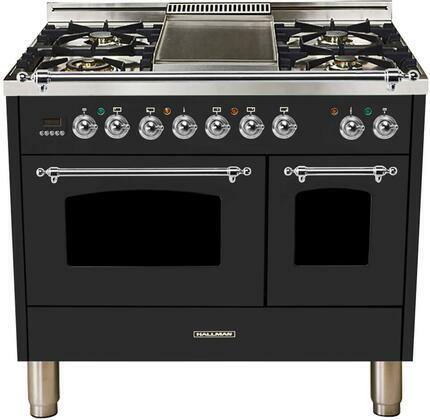 I have just used it a few times, both the stove and the oven and I am very satisfied so far. Very good quality and modern look, it comes with different sizes of burners and digital features to fit all your cooking and baking purpose.